I’m an unabashed fitness enthusiast who doesn’t consider a day complete until I’ve gotten a workout in. For me, it’s not a chore, it’s a way of life and I love working hard, challenging myself, and seeing results. There are few guarantees in life, but if you train hard, eat healthy, and get proper rest you will reap the rewards – it’s that simple. And, the rewards are immense – you feel better, look better, sleep better, think better (more clearly and creatively), and live a longer and healthier life. For me, training is all about two things – consistency and doing the right things. Consistency means putting the work in on an ongoing basis to give your body time to adapt and improve – and it will! Doing the right things means having a little knowledge about what to do to get the results you’re looking for. The result of doing these two things is truly magical. amazing teenage daughters, two lovable but insubordinate female dogs, and one terrific wife. In our house, they all lead, I follow! Outside of work, family, and fitness you’ll find me playing golf, reading anything I can get my hands on, and having fun with family and friends. Madeline Day Smith worked in the NYC fitness scene for over five years before moving to Madison with her family. She continues to teach Pilates, Barre, and dance classes, including children's ballet classes at the YMCA in Madison. 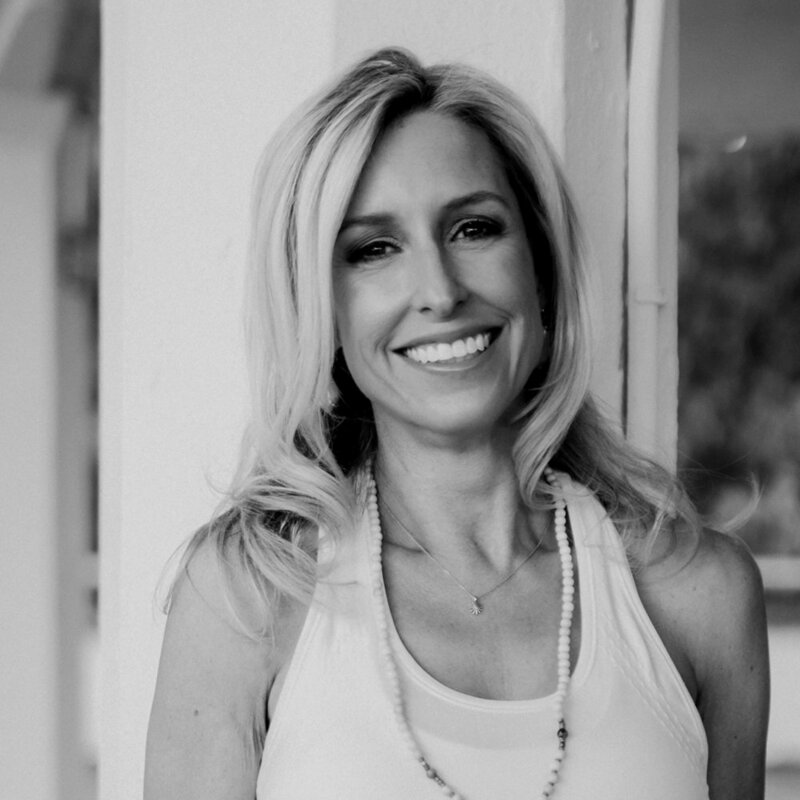 She holds a BFA in Ballet and Modern Dance from Texas Christian University and a Pilates Mat Certification from the Kane School in New York, along with special certifications in Pre and Postnatal exercise and osteoporosis prevention and rehabilitation training. She loves teaching students of all ages and ability levels, and has worked extensively with children with special needs. Madeline is excited to join the FFM team and use her dance and exercise background to create a toning class that will complement this stellar program. Yoga drifted in and out of my life for about 20 years. I remember rushing to yoga classes after long days of work in the corporate world. It took me half the class to calm down from the mad dash to the yoga studio through Manhattan rush hour subway crowds. I liked yoga and attended classes when I had time. Although I practiced yoga more regularly through my pregnancy, yoga was not yet a part of me. Fast forward to motherhood. The moment came when it was time to welcome my little one into the world. There was one problem—after hours of labour, the baby was “stuck"! An emergency C-section looked imminent, but my heart refused to give up! Then, yoga. Instinctively, I started modified yoga postures and continued them for a few hours until the baby became “un-stuck"! After 36 hours of labour, we welcomed our baby boy! As I became a mother, yoga became a part of me. After 18 years, I quietly left the hotel sales industry to take on the most important role of my life... motherhood. I strove to make a difference in people’s lives in the corporate world. Even more so, I hope to help people in their life journey through the practice of yoga. I have earned my Yoga Alliance certification RYT 500 designation through YogaWorks. I also have earned my Prenatal/Postnatal Certification through BabyMoon Yoga. Thank you for being a part of my journey. Namaste. Cheryl completed an RYT200 program at Onyx Studio in June 2018. She also studied ancient yogic philosophies and vinyasa privately with her teacher. Cheryl creates dynamic flows while weaving the philosophies into the class. Her warmth and compassionate style supports students as she guides them safely using alignment principles. Classes also include; centering, meditation, pranayama, and asana to link breath with movement. Cheryl also holds a thirty hour specialized training in the area of yin yoga. Yin is based on Chinese medicine and the meridian lines. It truly works on the body from the inside out. Her hope is for students to connect to their own inner wisdom and to live from that state. For Cheryl, yoga is not only about flexibility of bodies but more about discovering what lies within our own hearts and souls. Cheryl is a a former elementary teacher holding a masters degree in education. She is also mother of two children and resides in northern New Jersey. She enjoys spending time with her family, traveling, and singing.